Here’s my speech notes from last night’s Fabians Society panel in Wellington, comprising myself, Rob Egan and Bryce Edwards. A lot of it you will have read before if you’re a regular! As always I didn’t deliver this verbatim, but any rumours of a fellow Piko Consulting director having Facebook Lived my presentation are terrible lies and must not be countenanced. Mike asked us to talk about the implications of the recent elections in the United States, the UK and France on our own little general election in September, and whether we’re in an age of populism. I’m going to pull the old trick of immediately finding fault with the question, because I don’t know what populism is. It’s a word that gets applied to a certain style of politics, in a derogatory, if admiring manner. It describes politicians who are brash, loud, take cheap shots, and don’t do politics properly. It’s an elitist label for politics that appeal to people’s baser instincts and aren’t well-grounded or properly thought through. Donald Trump is populist because he raves about immigrants and Muslims and building walls, and we all feel a bit smug because we’re not stupid and thoughtless like those people who vote for him. Jeremy Corbyn wasn’t really described as populist at all, because if anything his fault was being too thoughtful and unassuming and right up to the exit polls predicting a hung Parliament we all know he was completely unelectable. I admit I don’t know a lot about French politics, but Macron was running against a bona fide fascist in a run-off presidential system which has a tendency to throw up extremists every now and then. Who knows what that means. I’m less interested in whether we’re in an age of populism and more what it says about us that we want to describe this time as an age of populism. 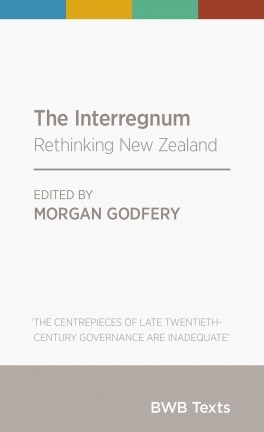 Others call it a period of transition, and there’s an excellent volume published by Bridget Williams Books and edited by Morgan Godfery called The Interregnum, which I confess I haven’t read yet because I’m a terrible person. We are certainly in a time thanks to technology where people can get right in a politician’s face, and politicians can talk to voters directly without being interpreted or framed by the media. It would be generous to say that this is an age of populism because politicians are forced to engage more with real people. But we also use “populism” as a nice way to say “extremism”, and that’s very dangerous. We’re accepting the idea that rightwing, authoritarian extremism like Trump’s or Le Pen’s is a valid expression of people’s core ideals and instincts – those people who aren’t serious and thoughtful about politics, like us. And the logic follows that in order to win, to be popular, we too have to pander to those instincts, even though we tell ourselves it’s just what we have to do to get into power to fix the mess neoliberalism has made of the world. That worries me. Because if we jump in without really understanding what’s going on, we will be selling our souls and committing political suicide at the same time. A good example, because it’s a consistent issue across all these elections, including ours, is immigration. Trump promised to build a wall. Le Pen was blatantly xenophobic. The Leave campaign in the UK played on it. We’re told this was the reason for those campaigns’ varying, worrying levels of success. And, to be blunt, our own centre-left parties, if not promising to build a wall, have made pretty populist statements about the need to cut migrant numbers, and the danger of unbridled immigration on our country. And if it works, why not? Well, firstly because racism is gross. But secondly because it doesn’t. I’ve talked at the Fabians before about values and framing, which is what all the cool kids are doing in progressive political communications. 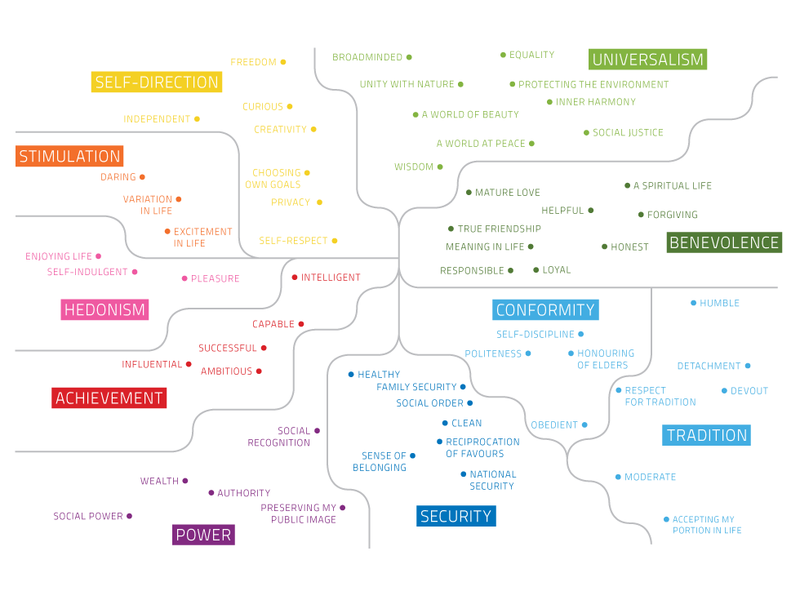 Essentially, if you take map fundamental human values – Common Cause in Australia has a really good one – on one side you’ve got intrinsic values like universalism, benevolence, equality. And on the other, extrinsic values like power, wealth, self-indulgence. I don’t need to guess which motivates the people in this room, right? But the short version is all of us hold all of those values to a greater or lesser extent, and all of them can be triggered in us. What authoritarians like Donald Trump do is tap into values like security and social order – which are literally the opposite of the ones that drive progressives and collectivists. They hype up people’s anxieties and fears and then tell them the answer is in those values, in being insular and xenophobic and antagonistic. That’s why anti-immigration rhetoric didn’t work for Ed Miliband in the 2015 UK general election. Because Labour aren’t meant to be narrow-minded and insecure and jealous. It cuts against our values, and people see that, so even if we say exactly what they want to hear, it rings hollow. Corbyn in 2017, in contrast, tapped into those core progressive values of benevolence and social justice and universalism – for the many, not the few – and said the solutions to our anxieties can be found in caring for one another. It was authentic. And authenticity, as any number of articles about Bill English putting tinned spaghetti on pizza will tell you, is everything. The question I ponder when polls show people are anxious about immigration is, what’s behind it? Immigration in of itself is just the movement of people across borders. Are they worried about wages? Job losses? Housing pressure? Rents? Traffic? Crime? A loss of our national identity? All those things immigrants get blamed for. What Corbyn did as well as play strongly to progressive values, is offer solutions to all those underlying anxieties which feed anti-migrant sentiment. You don’t need to fear newcomers if housing and transport and industry and pay and corporate greed are getting sorted. You don’t need to fear losing your identity if your identity is founded on community and collectivism. We have to campaign on our values not just because they are good but because they are powerful. They are popular, if not populist. We’ve just hobbled ourselves by letting the right push their values into the mainstream and trying to mimic them. 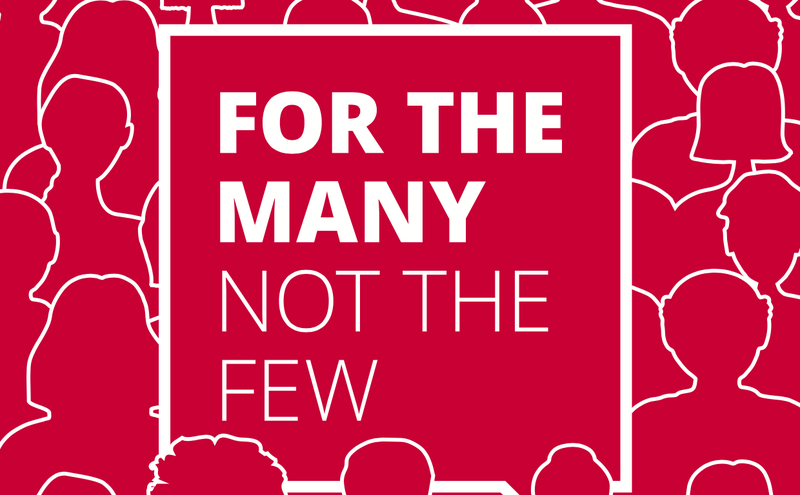 What Corbyn’s near-win can show us is that there’s a way to be popular and keep our integrity intact – because integrity is a much better vote-winner, in the short and long terms, than jumping on whichever bandwagon is rolling past. What progressive political parties in New Zealand need to do – or needed to have done, because let’s face it we’ve got two and a half months until the election – is present a clear alternative, not just to National but to the status quo. I’m sure Labour and the Greens think they are. But I don’t think people – outside circles like these, of political nerds who actually read the policy – are seeing that. If there is one thing to learn from populism, or whatever we want to call it, it’s that a consistent, bold message, which upsets the status quo and hits people right in the values, is what succeeds. If there’s a silver lining, it’s in the old wisdom that oppositions don’t win elections, governments lose them. And this government is teetering. Looking dishonest on housing and Pike River, heartless on mental health and the abuse of children in state care, lacking in ideas and bereft of their magical charisma leprechaun, John Key. It could be anyone’s to win, and probably Winston’s to decide. But for 2020 and beyond, the game is going to be completely changed, and we know from history that the right will adapt very quickly, so we’re going to have to be even quicker. Populism is a media slogan that assumes that there is a ruling class. If there is such thing as populism there must be some thing that is unpopularism (self entitled ruling class is a possibility. I don’t “conflate immigration with populism”, I use immigration as an example of an issue which has been raised and framed in what some people would call populist ways. I even assert that populism isn’t really a thing in the very first paragraph.